Liszewski Law Group, PLLC is a family oriented law firm that is focused on protecting the rights of individuals and the wishes of our clients. Our legal team provides experienced and skilled representation to clients throughout Arizona. If you have any questions about any legal matter, please call today. At Liszewski Law Group, PLLC, our legal team offers dedicated representation & knowledgeable counsel for divorce & family law cases in Mesa. We understand that you are going through a difficult & stressful ordeal, so our goal is to make sure that you don't have to worry about any legal matters. We just want you to focus on moving on with your life. Not only do our divorce attorneys have more than 20 collective years of experience handling a variety of complex cases, but we have extensive knowledge of family law. Attorney Vicki Liszewski served as a judge in family & juvenile court, so she has a unique perspective that is invaluable to her clients. You are not just another case. We take as much time as needed to get to know you and your goals. We respond to client calls within 24 hours. You'll never have to wait more than a day for answers. Our firm has an amazing reputation with the family courts, other attorneys, and former clients! If you still aren't convinced that Liszewski Law Group, PLLC is the right firm to handle your case, then speak with our attorneys and find out what they can do at your free consultation! If your former spouse is not following your court agreement, then we can also help you enforce a court order by filing for contempt of court. Who gets custody of my kids? What are the advantages to an uncontested divorce? How do I establish that I am the father of my child? If you are having trouble getting through the legal jargon, we've provided some helpful definitions of important family law terms. When you work with our divorce lawyers, you can expect that we will always act in your best interests. Our goal is to obtain your desired outcome, whether you want custody, alimony, or desire relocation. 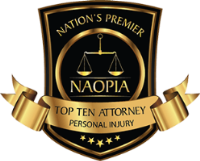 At your free initial consultation, you can discuss your case with our experienced attorneys, then we will provide a realistic picture of what you can expect. Our team has handled many family law cases and will guide you through the process. We hold membership in a number of respected organizations, include the Arizona State Bar Association, the Maricopa County Bar Association, and the MCBA Young Lawyers Division, of which Attorney Matthew Liszewski is currently on the board and chairmen of the Committee on Domestic Violence. Are you ready to move forward with your case? Now is the time to act! We encourage you to retain the assistance of our firm as soon as possible. For more information about how our office can help you achieve the best possible resolution to your family law or criminal case, contact our office and schedule a consultation with one of our lawyers at no cost to you. You can get started today by completing an online case evaluation form now. Our firm also proudly serves clients in Casa Grande, Maricopa and Maricopa County.